Superdry women’s Elements tweed hybrid hooded jacket. 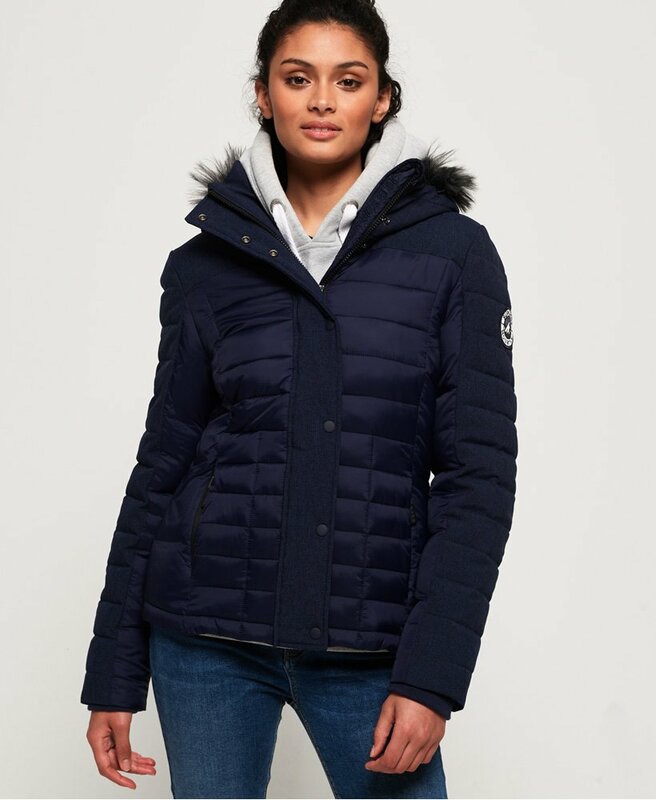 The perfect addition to your outerwear collection, this lightweight jacket features a quilted body and sleeves with tweed panelling, a zip and popper fastening and ribbed cuffs. The jacket also has two front zipped pockets, a bungee cord adjustable hood with a detachable faux fur trim and is finished with a Superdry logo badge on the sleeve. This jacket pairs perfectly with jeans and boots.